Eat Nachos Again! Healthy. Vegan. Party-Approved. 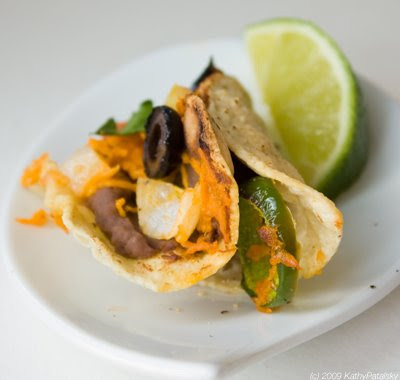 *Use fresh veggies and jalapenos. Can canned. *Load up on the 'veggie mixture' topping. *Spicy is good for you! Go spicy. Lift Your Nacho Ban. If you are a healthy eating devotee, you've probably pushed the party, ballpark, snack-worthy food Nachos out of your culinary spectrum. But hold your jalapenos! Nachos aren't all bad! The beans and spicy veggies give this dish good-for-you potential. 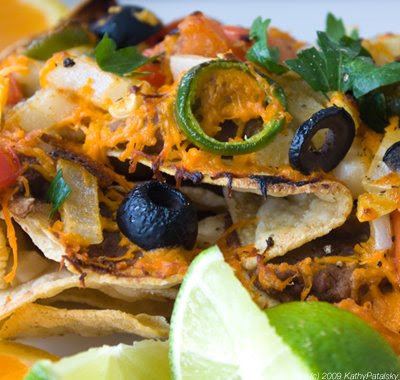 Improve the chips, add a lot more of the healthy veggies and upgrade the cheese to a vegan version and you are in nacho business! FYI, vegan cheese has 5.5g less saturated fat per ounce than traditional cheese! 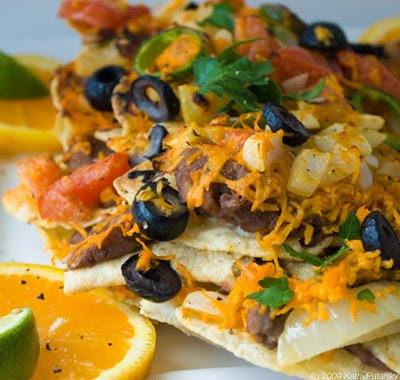 Discover my recipe for fast, friendly, fun and furiously delicious Vegan Nachos. 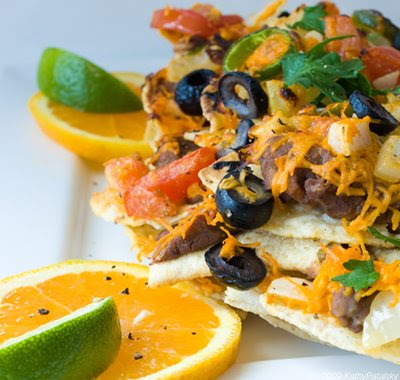 Healthy Nachos. 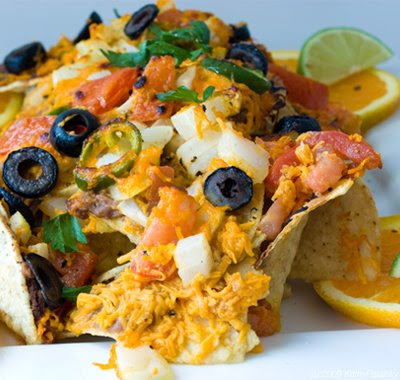 My healthier nachos use a mix of traditional and low-fat chips. They use a large serving of protein and fiber-rich black beans (the vegan, fat-free kind), lots of fresh-chopped veggies, spicy fresh jalapenos and the big kicker is changing up the traditional cheese for some vegan cheese! Traditional Cheddar Cheese: 113 calories, 9 g fat, 6g saturated fat. optional: chopped spinach, sliced mushrooms, side of fresh chopped avocados soaked in citrus juice and black pepper. In a medium bowl, combine diced tomatoes, diced onions, cumin powder, olive oil, lime juice and a pinch of salt and black pepper. Toss gently to coat the veggies. Set aside. Line a casserole dish with parchment paper or foil. Spray with olive oil spray. Lay a handful of chips on bottom of dish. Next, empty beans into microwave-safe dish. Heat refried beans in microwave for one minute-to warm them. Now take your remaining chips and spread 1 tsp of beans on each chip, then layer them in the casserole dish. Sprinkle 3/4 of your cheese mixture on top of the chips. Next, spoon about 1/2 cup of the veggie mixture on top of the cheese and chips. Then add your remaining cheese to the top of that. Add your olives and jalapeno slices to the top layer of cheese. Now place your nachos of the top rack of your oven. Broil them on high for about ten minutes-or until the chip ends are toasty brown and some of the cheese has bubbled brown as well. Remove the dish from the oven and allow to cool for 2 minutes. While the nachos cool, prep your serving plate. Place 4 orange slice circles and 4 lime wedges on the dish. Finally, with a large spatula, transfer the nachos onto the serving plate. Serve any leftover beans or veggies in side dish bowls. You can also serve with some spicy salsa or guacamole.